The charity PECT has launched a competition looking for photographs of Peterborough’s favourite trees. 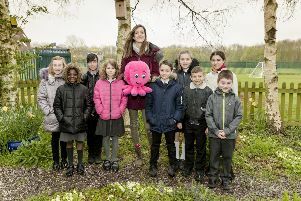 The competition ties in with the 100,000th tree being planted in the city and surrounding areas in October as part of PECT’s Forest for Peterborough project. The photography competition has two categories: adult (16+) and child. The deadline for entries is 5pm on September 20. To enter, email your photo, which must be sized between 1MG and 10MG in a jpg format, to info@pect.org.uk. The email should be entitled ‘Love Trees Photo Competition’ and include: your name, contact details, which category you are entering and a brief description of why you have chosen that tree, along with its location. The photos will be judged at the end of September with £25 vouchers awarded to the winners.